Congratulations to Coach Ken Luncynski, and his team of midshipmen, ages 18-21, for winning the Battle of the Atlantic Trophy for a Service or Maritime Academy Yacht. The team achieved this honor by having the 3rd best corrected time in the St. David’s Lighthouse Division of the Newport to Bermuda Race. They were sailing on the Foundation’s boat Phantom, a Tripp 40. The young sailors experienced a lot in the last few weeks. 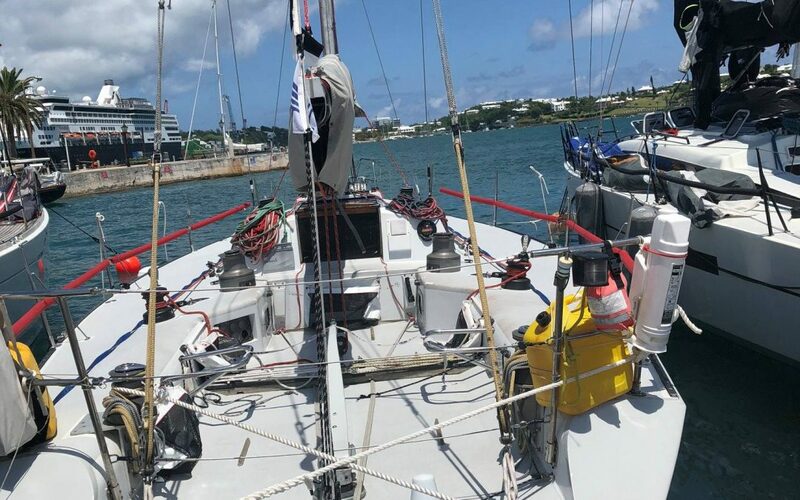 In a slow slog to Bermuda, they had a chance to see the beauty and her spectacular harbor “up close and personal”. They also learned about what it takes to prepare the boat, plan the trip, race and arrive safely at home. Learn more about our fleet of boats to support efforts like these.